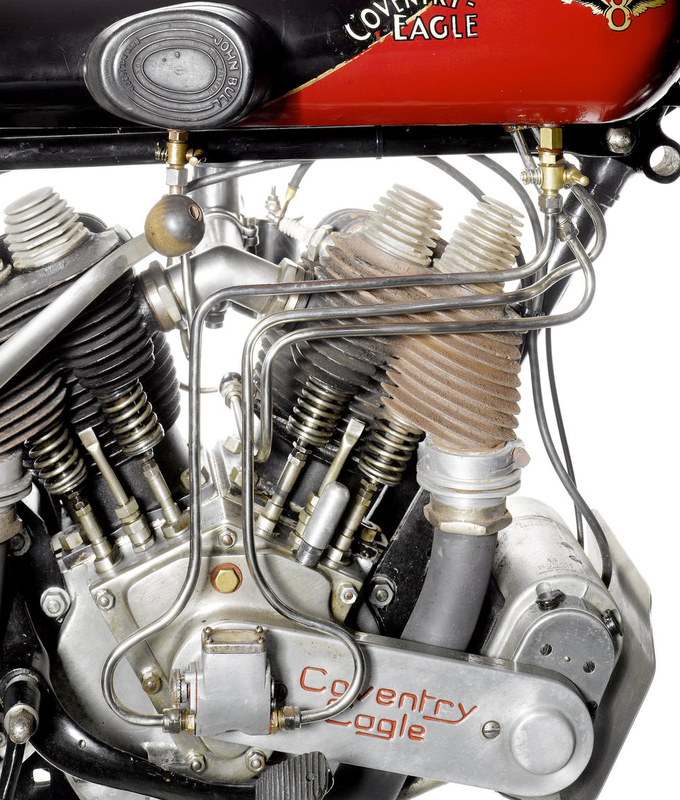 The Coventry Eagle produced motorcycles from 1899 to 1940. 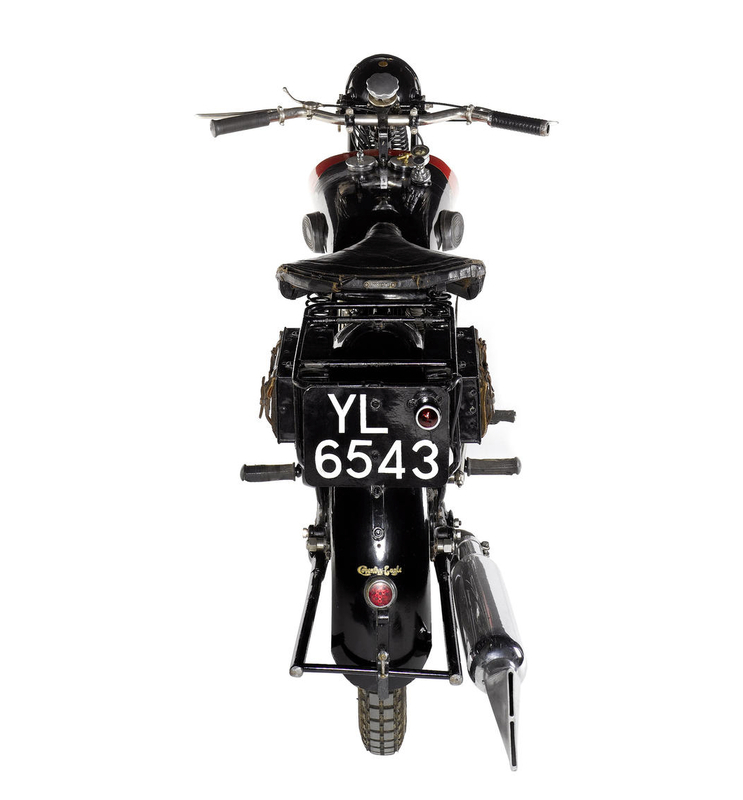 Offered by Bonhams in their Paris auction on February 7th. Estimated to go for US$ 59,000 – 75,000. 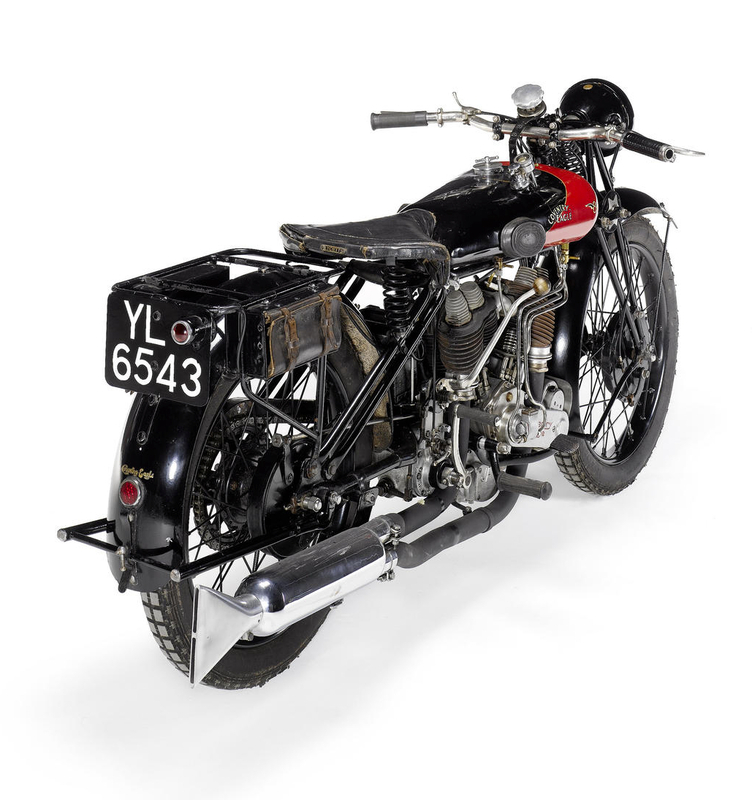 From Cyber Motorcycle: Coventry-Eagle made Royal Eagle bicycles in the 1890s and built their first JAP-powered motorised bicycle around the turn of the century, perhaps 1901. 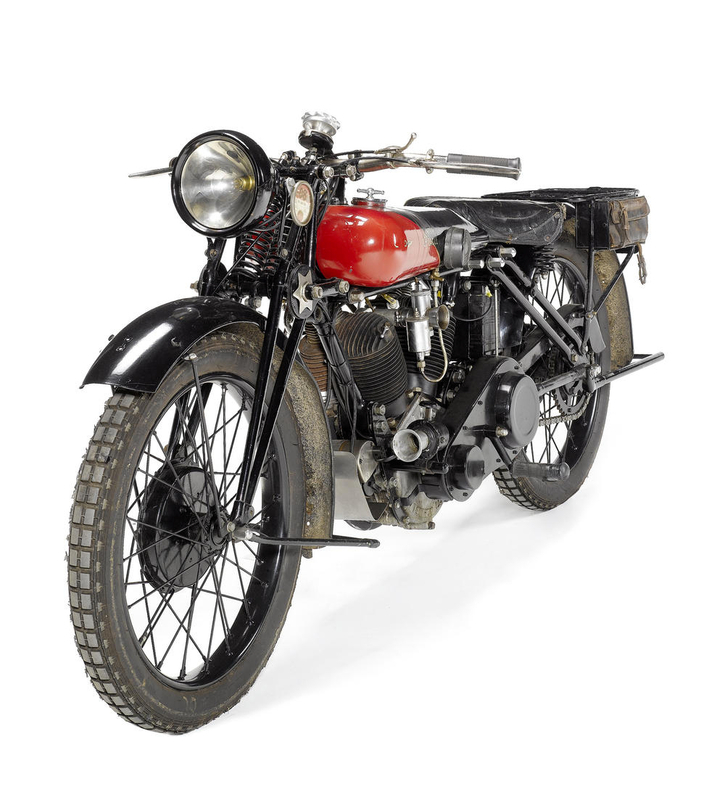 By 1903 they were making motorcycles and by 1916 they had produced quite a variety of machines assembled from mostly proprietory components. 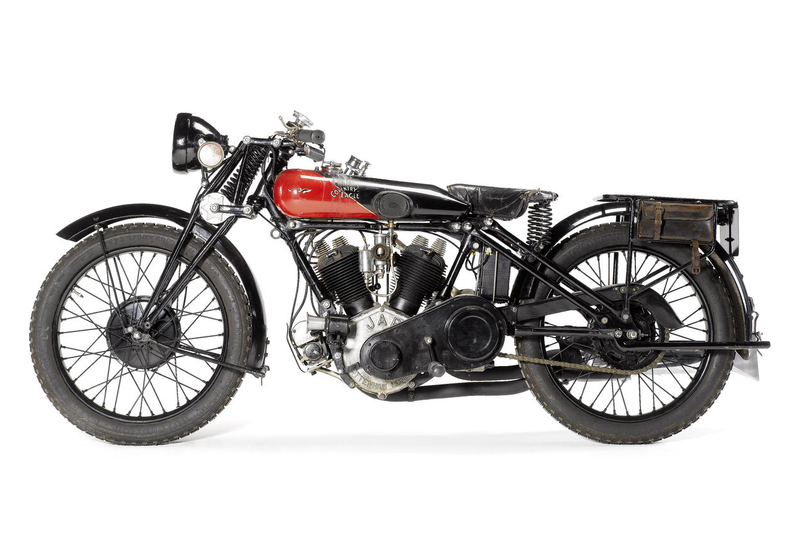 In 1921 they were producing 500cc singles and a JAP-powered 680cc V-Twin, and in 1923 introduced the 976cc Flying Eight which competed in both speed and quality with Brough. They continued to expand the range until the effects of the Depression were felt in 1929. Production continued until 1939.